South Korean golfer Ryu So-yeon jumped two spots to reach No. 2 in the latest women's rankings Tuesday, following her third-place finish at the Ricoh Women's British Open. Ryu has now positioned herself right behind Ariya Jutanugarn, who has been No. 1 since last week. Ryu was the top-ranked golfer from June 26 to Oct. 30 in 2017. 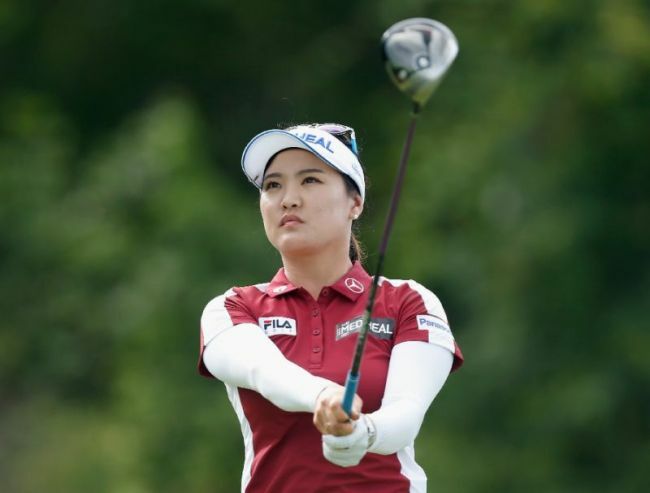 Ryu finished alone in third place at the Women's British Open at the Royal Lytham & St. Annes Golf Club in Lancashire, England, on Sunday, at 13-under 275. She was four strokes behind the champion, Georgia Hall. With Ryu's rise, two other South Koreans each fell down a notch, with Park In-bee now at No. 3 and Park Sung-hyun at No. 4.